This spring’s paleography identification contest at the University of Chicago Library confirmed what I have long hoped—my years of paleographic training don’t just allow me to read archival materials, they have also opened the door to winning prize money! In April, the University of Chicago library paired up with a donor to offer a $1000 reward to the first identification and transcription of the marginal commentary in a 1504 edition of Homer’s Odyssey. In less than two weeks they had received 3 concurring correct responses and had awarded the prize money to a computer engineer pursuing a degree in digital humanities. I sometimes think that paleography—the study of handwriting—is one of the most romanticized yet overlooked skills of scholars who work with manuscript materials. On the one hand, our ability to read an original tenth-century psalter, fourteenth-century account book, or seventeenth-century trial transcript is what gives us access to the wealth of unpublished material in archives. But, on the other hand, few graduate programs have paleography training requirements comparable to their language requirements. At the end of the day, in order to work on manuscript material, we have to understand both the language and the handwriting. However, paleography is not just a utilitarian tool for getting at the meaning of words obscured by unaccustomed shapes and abbreviations. Analyzing paleography can help to date and place manuscripts. Recognizing a characteristic descender may not be the goal of your research project, but it can provide historical insights into the temporal and geographic provenance of a document. Paleography can also reveal social and cultural information that the words of a text might hide. Just as we have come to recognize that legal documents signed with an “X” often reveal that a participant in the proceeding could not write his own name, so too we should consider the implications of reading texts considered to be “elite culture” but transcribed, perhaps, in a mercantile hand. Understanding paleography helps to reveal both a manuscript’s words and its social contexts. Once a manuscript is delivered to my desk in a reading room, I find that the most important strategy is to be patient with myself as I begin reading and transcribing. Every senior scholar with whom I’ve discussed paleography has reiterated that what is hard in week one will be easier in week two and easier still in week three. When I get stuck I like to try to systematically identify the whole alphabet in the page in front of me. If I know that the writer always closes his o’s completely or always dots her i’s, then I can systematically limit the options for unclear words. Sometimes if I can figure out the beginning of a word I can clarify the rest by searching a dictionary. I’ve also found that sometimes words reveal themselves kinetically even if they are unclear visually. I take my notes on a computer, but writing out or drawing difficult sections by hand can often help unlock a passage of text. We do not all need to become paleography experts, but do consider familiarizing yourself with the array of scholarship and guides to regional paleography available for the languages important for your research. 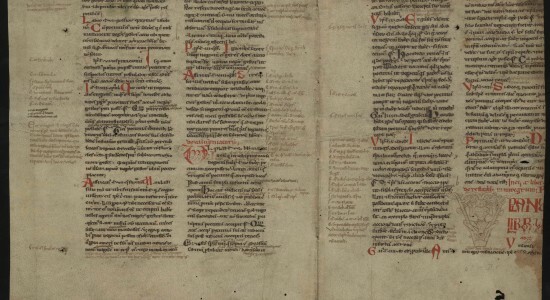 The Newberry Library in Chicago has an extensive bibliography for tools in Latin, English, French, Italian, and Spanish to accompany their Mellon Summer Institutes in Vernacular Paleography. I’ve found also that it is helpful to have a collection of old dictionaries on hand when working with manuscripts. Words and their spellings change and it is always harder to recognize words I don’t know. Many dictionaries from before the twentieth century are available for free to download from Google Books. There are many opportunities to practice and improve paleography skills outside of archives as well. Summer is a great time to enroll in formal paleographic training. A grant from the Mellon Foundation has funded the first two of four summers of vernacular paleography courses in English, French, Italian, and Spanish. These institutes are hosted by the Newberry Center for Renaissance Studies in Chicago, the Folger Institute at the Folger Shakespeare Library in Washington DC, the Getty Research Institute in Los Angeles, and the Huntington Library in Los Angeles. They offer training for advanced PhD students and junior faculty. Rare Book School at the University of Virginia offers a week-long summer course that provides a broad overview of primarily Latin paleography from 800-1500 and another course on English manuscripts. This year Dumbarton Oaks in Washington DC revived its summer school in Byzantine Greek paleography, and the Schoenberg Institute for Manuscript Studies at the University of Pennsylvania offered a free course twice weekly on Bookhand Paleography from the ninth through seventeenth centuries. The Pontifical Institute in Toronto and the American Academy in Rome collaborate to offer paleography and codicology courses which can be used toward a diploma program in manuscript studies. There are also paleography classes offered online. A few years ago I enrolled in a Medici Archive Project online course, and the course at the University of London Institute for Historical Research comes highly recommended. The UK National Archives provides a series of tips, tutorials, and practice documents for English handwriting from 1500-1800. For French handwriting to 1789, there is an excellent website with a collection of examples with accompanying transcriptions. There are even online resources available for Polish and Icelandic paleography. Colleagues who work in archives are also great resources. Consider participating in or starting a paleography workshop at your home institution in which members of the community who specialize in different hands and periods can teach informally about their areas of expertise. Ask if they can offer a digital image or photocopy of part of a document from an archive they’ve visited. Digitized materials are making it increasingly possible to learn to read and transcribe handwriting outside the archive. Image: A manuscript fragment of a part of the Corpus juris civilis by Justinian I. Courtesy of Department of Special Collections and University Archives, Stanford University Libraries.